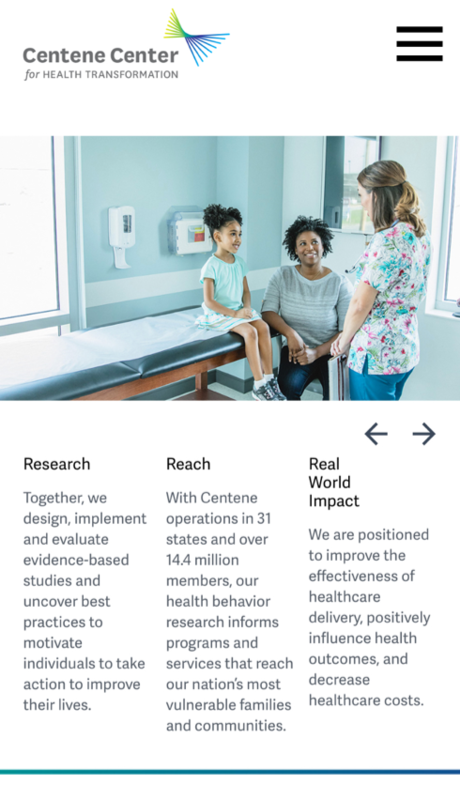 As the research arm of Centene Corporation, Centene Center for Health Behavior Change is a community-industry-academic healthcare partnership that advances life-centric health solutions to improve lives so that communities can thrive. 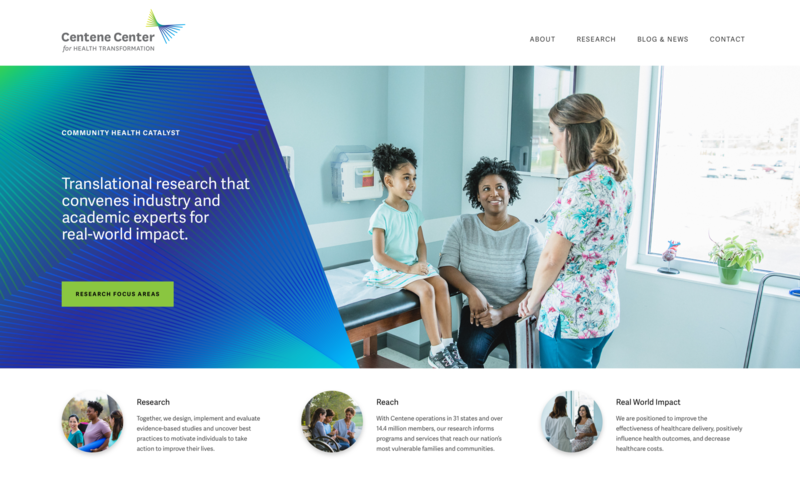 They use findings from their research to improve the effectiveness of healthcare delivery, influence positive health outcomes and decrease healthcare costs, especially for the nation’s Medicaid population. We were really excited to contribute to the digital presence for this important work. 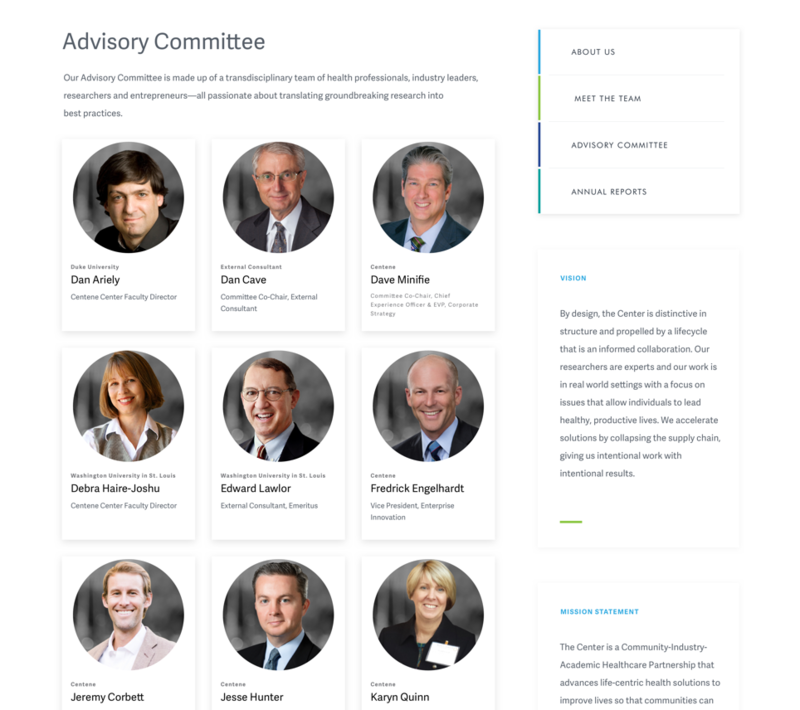 Although we set out to visually refresh their website, along the way we had the opportunity to improve the user experience, add robust new features, optimize the site for SEO, as well as build the site to comply with ADA regulations for accessibility. 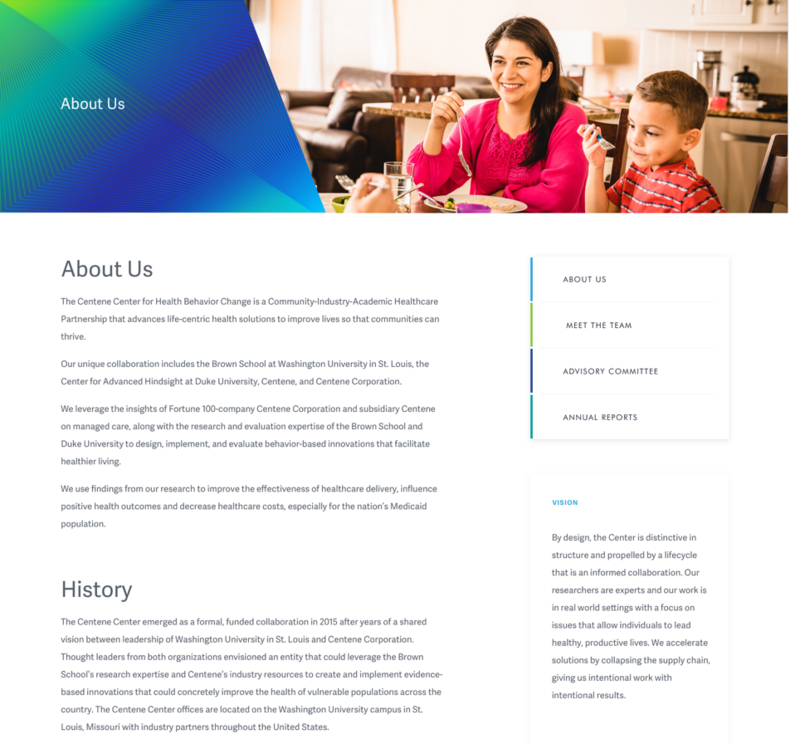 Using WordPress CMS (content management system) as the new website platform, we created a fully customized site that was easy for University and research admins to manage going forward. User Interface (UI) was our first consideration. Technical improvements needed to align with the strategic business goals of the organization, while keeping the most important information highly visible to readers. The design had to satisfy several different and detailed brand guidelines; this unique collaboration includes not only the Centene Center, but also the Brown School at Washington University in St. Louis, the Center for Advanced Hindsight at Duke University, and Centene Corporation. 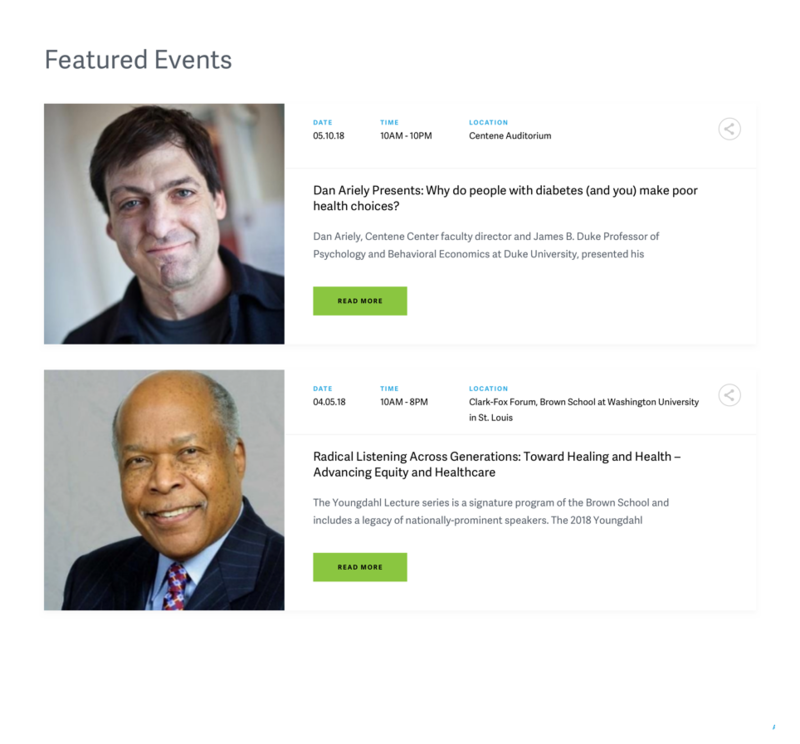 Our UX goal was to create a mobile-ready site that increased engagement with the reader; we accomplished this through adding new features such as an interactive map, site search, social media integration – including a Twitter feed, events calendar, blog, and a contact form with an autoresponder to reply to messages immediately. This project included a full SEO package: a technical SEO tune-up to optimize communication between the website and search engines. 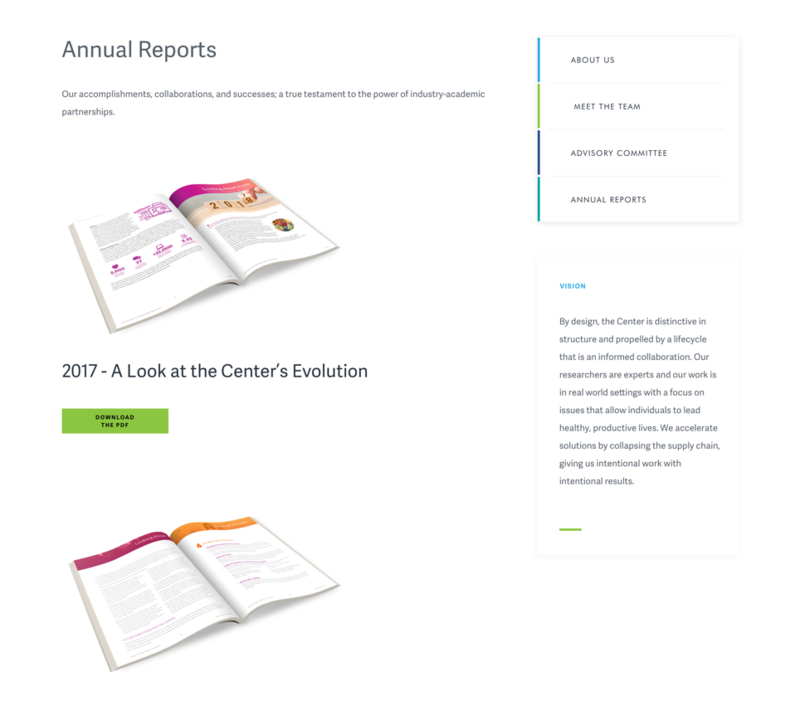 One of the most important goals was to increase web traffic and ultimately the web visibility for the center’s studies and reports. 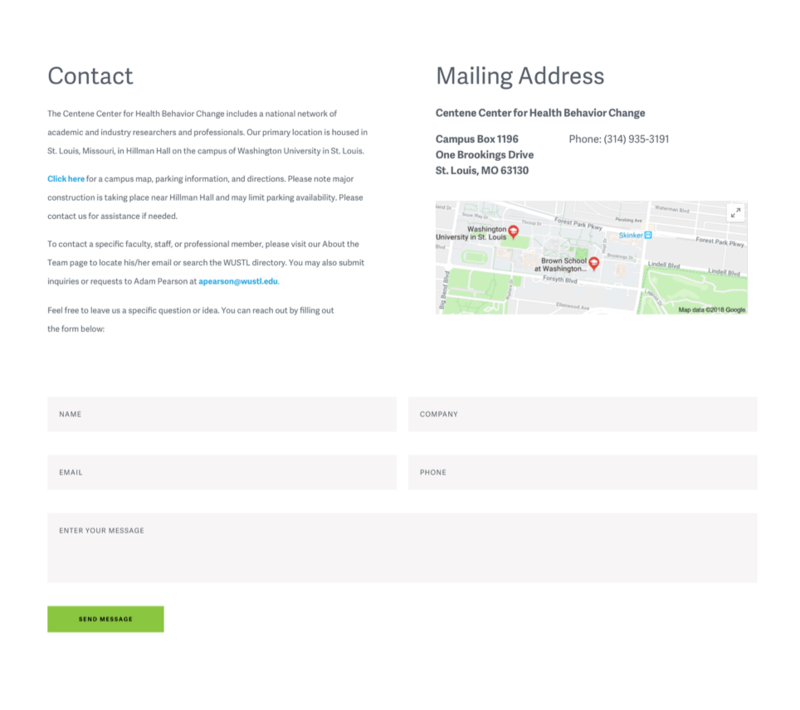 With competing information offered from many high ranking authorities such as universities and medical reference sites, this process required a complex strategy. 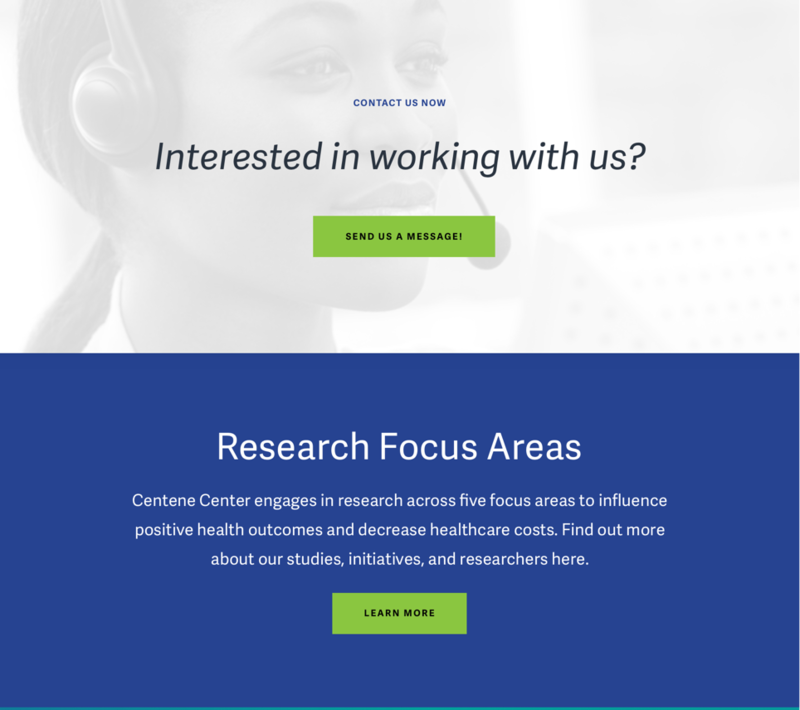 The Centene Center site content includes many terms specific to the University and medical communities, which had to be presented so Google could decipher more than just keywords – it had to understand context. We worked with researchers and professors to align content with how a user would search, and structured the site to maximize search engine indexing. We conducted in-depth competitor research to better understand keyword variations and nuances, and to learn what metadata the other sites were using successfully. This site contains many photos, reports and illustrations, which can slow down the loading time of the content. Page loading speed is a ranking factor in Google, especially in mobile search, so every image uploaded was optimized for the page. In this highly visible website, compliance with the American Disabilities Act (ADA) is vital to avoid a lawsuit, but it’s also important to provide an equal opportunity for all people to access the content – even with disabilities that may affect their hearing, vision or physical capacities. All technical and visual elements were placed with ADA guidelines in mind, including an interactive research project map which was designed to outline projects throughout the US. Alternative text was attributed to images to provide descriptive information, and appropriate contrast ratios between text and background were used to ensure all content is accessible on a variety of modern devices such as iPhone and Android phones, iPads and traditional desktop computers. We worked to incorporate web accessible code for visitors to easily navigate through content, with the knowledge that making web pages easier to comprehend will allow everyone – disabled or not – to find what they’re looking for quickly. Plus, if a website meets the Web Content Accessibility Guidelines, it will appeal to more than just users, but also to search engines and screen readers, ultimately improving the site’s SEO.